Sports and games facilities comprise of the School Playground at Cox Town near Assaye Road, the school field, the basketball court and three covered pavilions. Realising the importance of fitness and exercise, our school places a high premium on the Physical Education Department. Sessions for physical exercises, drills and games are held right through the week. 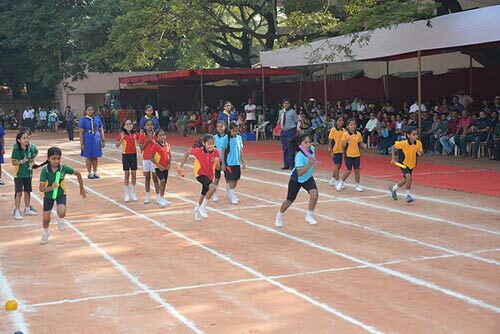 The highlights of the year are the KG and Senior Sports days, which are the culmination of many months’ preparation and hard work. Coaching camps in Cricket, Football, Basketball and Athletics are conducted in the summer vacation and right through the year. Distance running takes the forefront in our Annual Road Race. The senior boys run a course of 3 kms, the senior girls and the junior boys and girls run 2 kms. 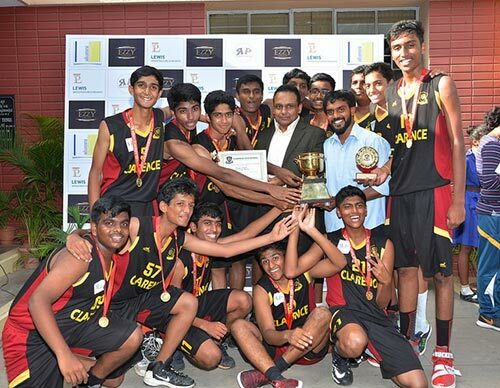 Come November every year and we host Bangalore’s oldest and most prestigious Inter-School Basketball tournament which sees the clash of many titans of basketball. 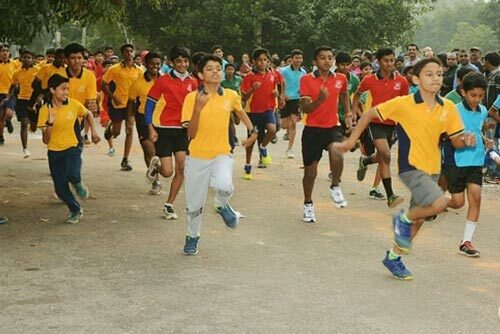 Students participate enthusiastically in Inter-House and Inter-School matches in Football, Cricket, Basketball, Throwball, Swimming, Skating, Chess and Athletics.